The Anchor Fence Blog provides helpful information for buyers, sellers, installers and everyone in between. Add Solar Caps to Your Vinyl or Aluminum Fence - Anchor Fence does sell, supply and install solar caps for vinyl and aluminum fencing which are available for order! 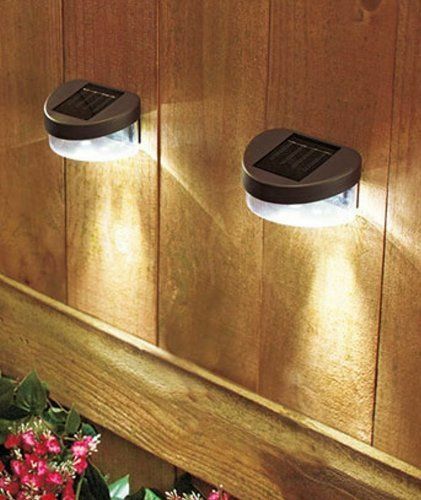 These add lighting to your back or front yard and make your fence pop! Use Up-Lighting for a Dramatic Effect - Using lighting that’s low to the ground and pointed upward creates a look that shows off your garden without being too harsh. It also shows off the texture of your fence, even at night. Create Shadows with Low-Placed Lighting - By placing lights low to the ground, you can cast harsh shadows on the fence or house, creating a dramatic look. 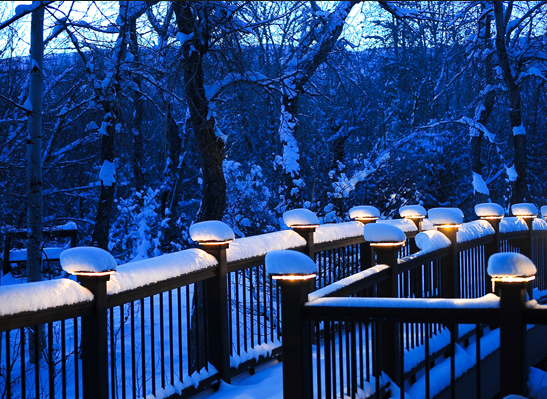 Bright Spotlights Add Safety and Charm - Use spotlights on your fence to illuminate areas for entertaining. The bright lights are helpful for guests when they are walking. Use String Lights for Decorative Lighting - String lights are easy to install and offer a wide variety of styles so you can change the look of your fence lighting easily and often. These lights are also festive for the Christmas season! Use Accent Lighting to Highlight the Best Parts of Your Garden - Experiment with lighting placed at various heights on your fence to make the area in front of it stand out. This is perfect for highlighting specific spots of the garden. Make Functional Lighting Fun - Add lights to the underside of benches placed along your fence. This provides light with a fun look. Use Spotlights to Make Your Home Stand out - Spotlights placed on your fence and directed at your house make it look extravagant and inviting. Use Lamps and Lanterns for Versatility and Function - Lamps and lanterns, that can be moved as needed, provide an endless variety of lighting possibilities for any garden. Use Ambient Lighting to Set the Mood - Lighting on a dimmer can be adjusted as needed to create the perfect look, every time.